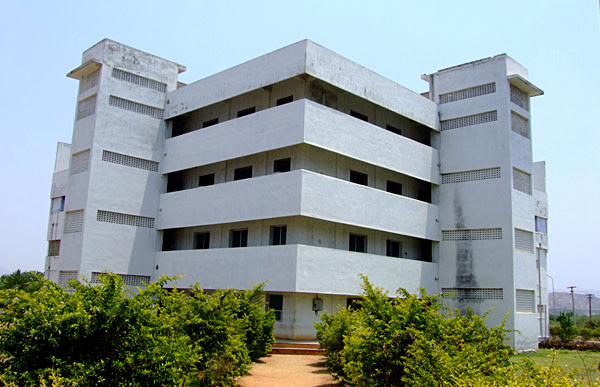 The concrete garden “Odaiyappa College of Engineering & Technolgy” is located in the middle of Cumbum Valley land, 4 Kms. away from Theni town. The Magnificent institution is housed in a sprawling campus of 27.58 acres with a built up area of 82,000 square feet. The college was given permission by Govrnment of Tamilnadu as per letter No.6181/J1/ 98 dt 25.03.1998 and affiliated to Madurai Kamaraj University on 6.10.1999 and then with Anna University as per letter no. CEP/Affi/ OCET/2001-02 dt 14.08.2002 with three branches in Engineering after approval from All India Council for Technical Education on 23.9.1999 (Lr.F.No.732 -52-161/Et/97). To develop our students’ Potentiality for developing themselves as better citizens, we provide training both physically and mentally. They gain knowledge through Industrial Visits, Paper Presentation, Seminars etc.